When To Start Home Remodelling? A few things that you have to be extremely careful about is the lighting you choose for your home, the color of the paint in each room, whether you use environment friendly equipments and whether your remodeled home gets everyone in the home closer to each other. It is very important that you do a regular paint job to keep your house in good condition. A paint peeling house is always an eye-sore and people will look at you with disgust. Not only that, the house will not stand for long if you don't do regular maintenance on it. Depending upon the materials you use to build your home, you have to repaint it at regular intervals. Doing it every 6-8 years will keep the house in pristine condition and it will stand so for several more years; without remodeling. 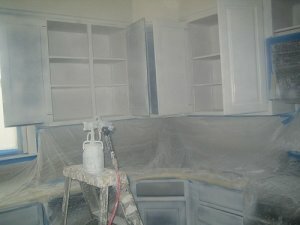 You can also hire the painters to pressure clean the house if you feel you don't need a paint job. It will wash off all the dirt and grime of the past few years making the house look as good as new. It is also the best way to increase the life of the house. Go through all the color options that will make it look good considering the natural light. So many new colors are mixed and combined so they form a totally new color. It will definitely create that unique look for your home. Choosing the best colors for the home is an art; something which everyone cannot do consider if you could use some help. The right shade for your home will create a positive appeal to whoever is looking at your house maybe you will be selling it someday.